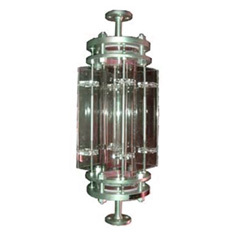 Tubular glass or resin forms a liquid chamber between upper and lower gage valves. It is the most simple and inexpensive liquid level gage which can be used under normal or relatively low pressures. Tube can be marked with red lines to observe the liquid level easily. Resin(Fluorocarbon, Acrylic and PVC) tubes can be used for corrosive liquid. Scale board, float (applicable for the liquid of specific gravity over 0.55) and jacket are available. As for valve material, carbon steel, stainless steel (SUS304,SUS304L,SUS316,SUS316L) , resin (PP,PVC) and several lining are available. Tne center to center lenght is avilable from 300 mm. The visible length refers to the following table. 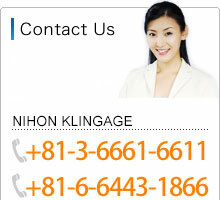 Nihon Klingage Co.,Ltd. manufactures the liquid surface meter product which corresponded to all the needs in the design. 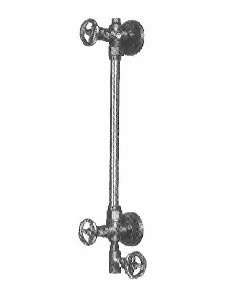 As for the measure ring gage to use for the measurement extraction of the measurement pouring, various liquids such as the catalyst and so on, too, it supplies the product which corresponded to the specification, the capacity, the installation length, the diameter, the material, the graduation, the equal needs of the request. To the high-pressure one With KLINGAGE large chamber type Direct Reading Liquid Level Gage, the measure ring gage, and so on, corresponds.